What's Your Boring Dream Car? Fast and flashy cars like Ferraris, Lamborghinis and McLarens are undoubtedly desirable. Decades old muscle cars still fetch hundreds of thousands of dollars at auction. I’d love to see a Plymouth Superbird in my driveway one day. It will probably never happen but it’s one of my dream cars. But dream cars don’t have to be coach-built Italian masterpieces of design. 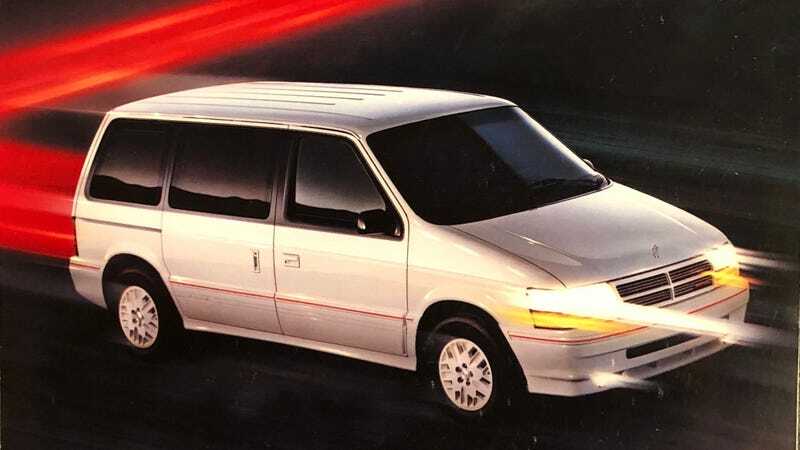 We’ve all had moments where we saw an econobox or family hauler drive by and thought, “I don’t hate that.” My boring dream car is a 1991 Dodge Caravan in white. I may be vulnerable to minivans but something about its boxy shape and simplicity appeals to my Chrysler-addled lizard brain. I want to roll up to Radwood in a gleaming white steel box. What’s your dream car that doesn’t exactly get anyone’s pulse pounding? Show us the everyday cars that get you excited. What’s Your Biggest Disappointment With Online Car Shopping?